THIS IS THE HOUSE WHERE EVERYONE LOVES TO GATHER! MY CLIENT NEEDED VERY KID FRIENDLY DECOR KNOWING THIS ROOM WOULD GET LOTS OF USE! 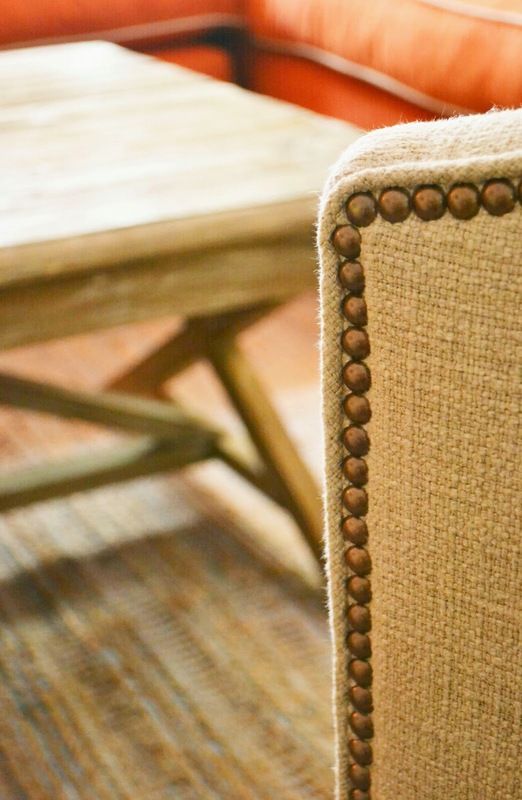 WE CHOSE A SLIPCOVERED SOFA-EASY TO CLEAN, A FORGIVING FABRIC FOR THE SWIVEL CHAIRS, A VERY FORGIVING AREA RUG, AND DISTRESSED FURNISHINGS THAT CAN HANDLE THE WEAR AND TEAR. 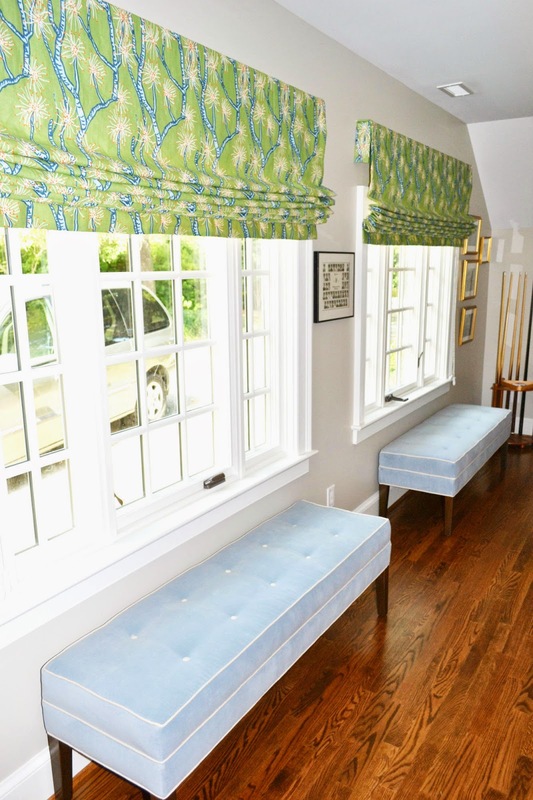 THE WINDOW TREATMENTS ARE AN AMAZING PRINTED LINEN...A GREAT POP OF COLOR THAT THIS LARGE SPACE COULD HANDLE. MY CLIENT DID AND EXCELLENT JOB ARRANGING HER FAMILY PHOTOS-WHAT A GREAT PLACE TO DISPLAY! What a terrific space. Your room designs are always so fresh and spot on, Lucy. 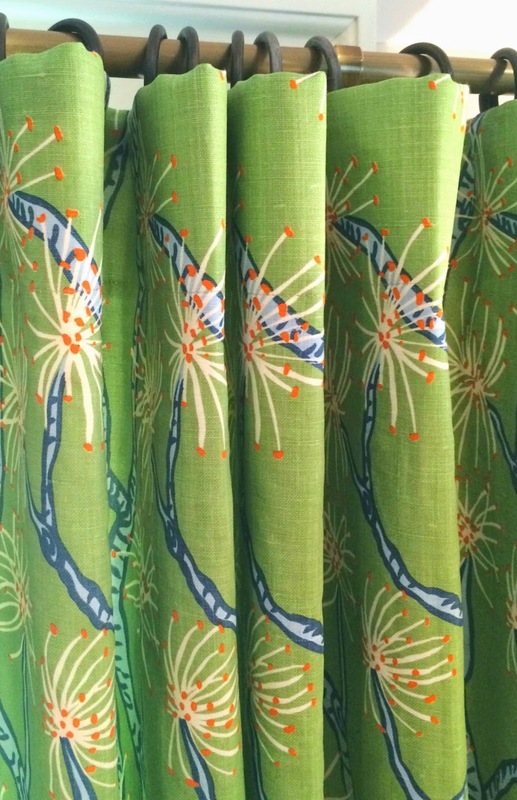 Love the fabric on your curtains! 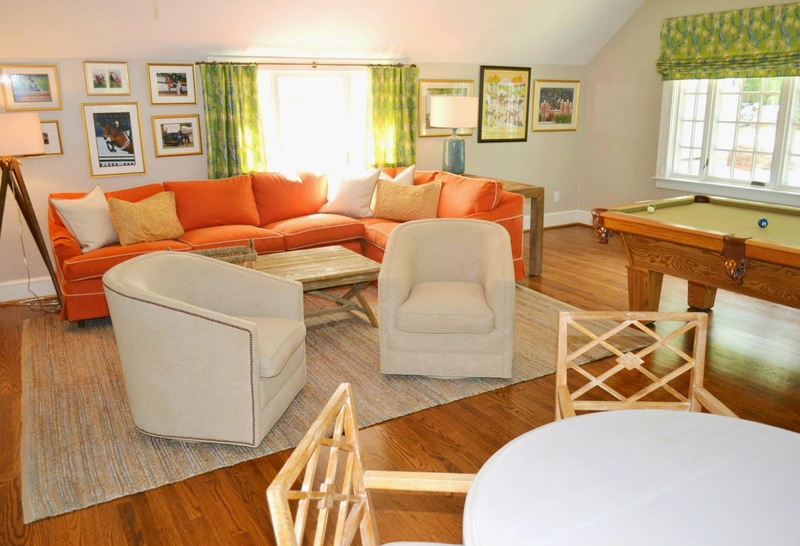 What a cheerful inviting space! Love the idea of the benches! Beautiful room decoration! 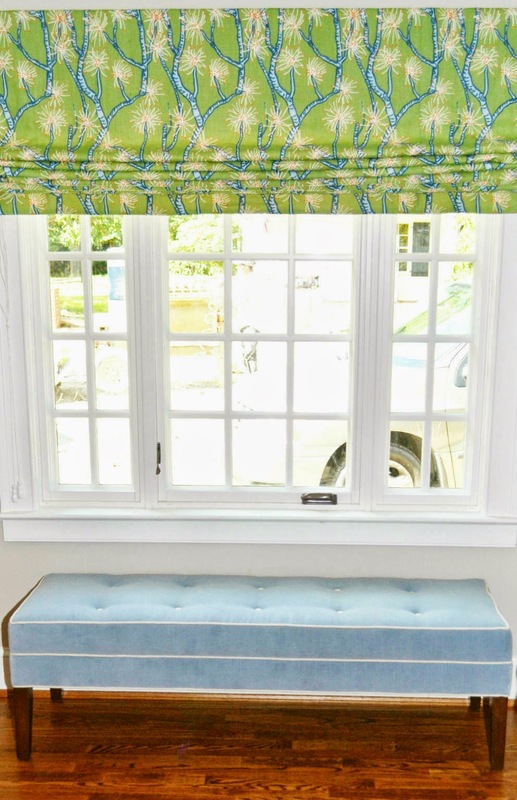 Awesome use of curtain to decorate home. 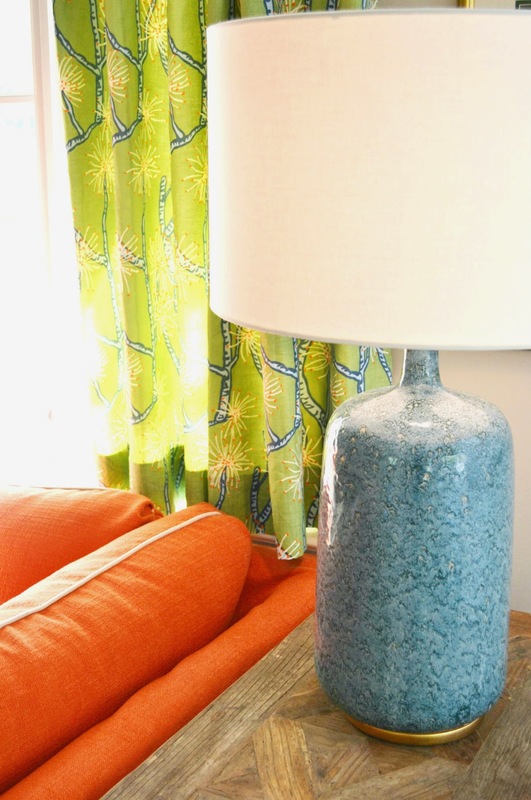 Use of green color in curtain gives fresh look. Everything looks nice and fresh. Color combination is also very different and unique. I’m glad to see this post. I definitely try this idea in living room. Simple yet elegant Design. The color combination of the curtains and furniture's is amazingly and pleasant to look at. The arrangement is well organized. Great Job!